SIX Beautiful Home Sites inside Cannonsgate at Bogue Sound at The Crystal Coast. THREE of which are SOUND FRONT !! Cannonsgate is a Premier WaterFront Gated Community at The Crystal Coast boasting some of the most incredible views of Bogue Sound. Owners revel in an immaculate clubhouse, swimming pool, and a 75 slip Marina on the (ICW) Intercoastal Water Way. Enjoy nature and walking trails, tennis courts, and a community pier hovering the water offering panoramic sound and sky views. Residents LOVE the location, amenities, and the easy 20-minute drive to Crystal Coast Beaches. 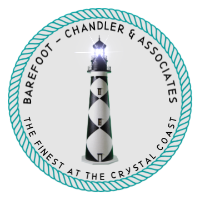 These properties were just listed with us at Barefoot-Chandler & Associates. Don't miss this opportunity ! !